It is said that sometimes God doesn’t change your situation because he is trying to change your heart. 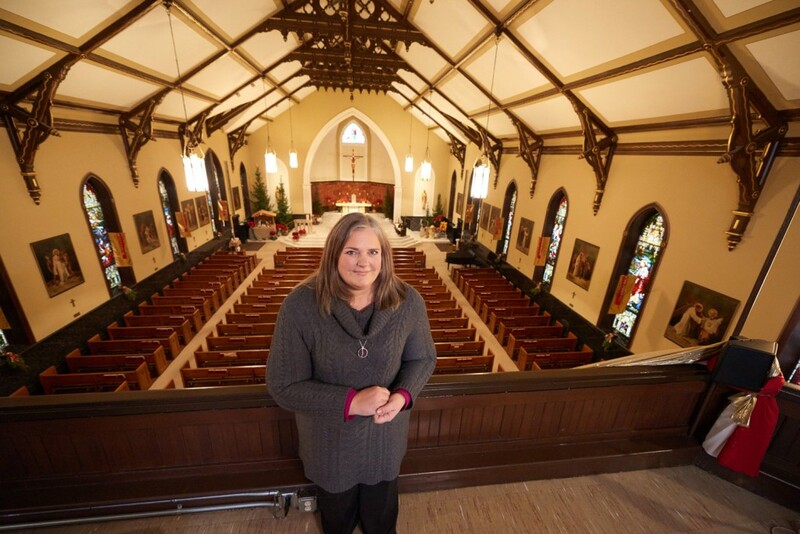 On May 14, 2014, Sharon Scheel of Sacred Heart/ St. Patrick Parish in Eau Claire found herself in one of those situations. That afternoon, she received a call from her father, Albert Woody Jr., who lived eight houses away. He had a bad fall and was waiting for an ambulance. Sharon and her husband rushed over. The fall had caused her father’s leg bone to separate from his leg, making for a very traumatic scene — one Sharon says she’ll never forget. Hopeful that the situation wasn’t as bad as it looked, and that his leg could be rehabilitated, Sharon and her five siblings gathered at Luther Hospital to be with him. At some point that evening, a nurse alerted them to the fact that their father had also suffered a heart attack, and would likely not survive the night. Blindsided by the news, Sharon was devastated. The pastor told her he knew someone to call. At 2:30 a.m., Father Konopa came through the door to anoint Sharon’s father. Albert Woody had grown up Catholic, married in the Church and had his first child, Sharon, baptized there. Shortly thereafter, though, he had a falling out with a priest and left, taking his family with him. This short bedside meeting with Father Konopa was the first step in erasing a very painful history. “Father had gotten out of bed at 2:30, sick himself, to come for my dad, who had been away [from the Church] for so long,” she explained. All the while, Sharon said she watched and cried, later realizing just how profoundly these 10 minutes or so would change her life. Sharon’s father died later that day. But the story is far from over. 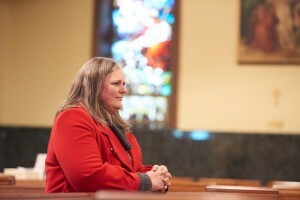 Sharon stands in St. Patrick Church in Eau Claire, a church she newly calls her own after joining the Catholic Church through the RCIA program at Easter in 2015. “Something happened to me in the middle of the night, in the middle of the dark, on one of the darkest days of my life,” Sharon remembered. 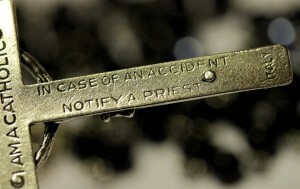 “I came to the conclusion that those three words — ‘call a priest’ — were probably the shortest prayer I had ever said. Lucky for Sharon, she had some great examples of faith early in her life. “I was really graced with two strong, Catholic grandmothers,” she said. Sharon fondly remembers visiting her paternal grandmother, who taught her bedtime and mealtime prayers, and watched how good she was to people. “Nobody wants to be tested. No one wants to be challenged by God,” she explained. That is what the process felt like at times to her. There were many moments that she and her husband had to lean on one another to stick with the journey they had begun. 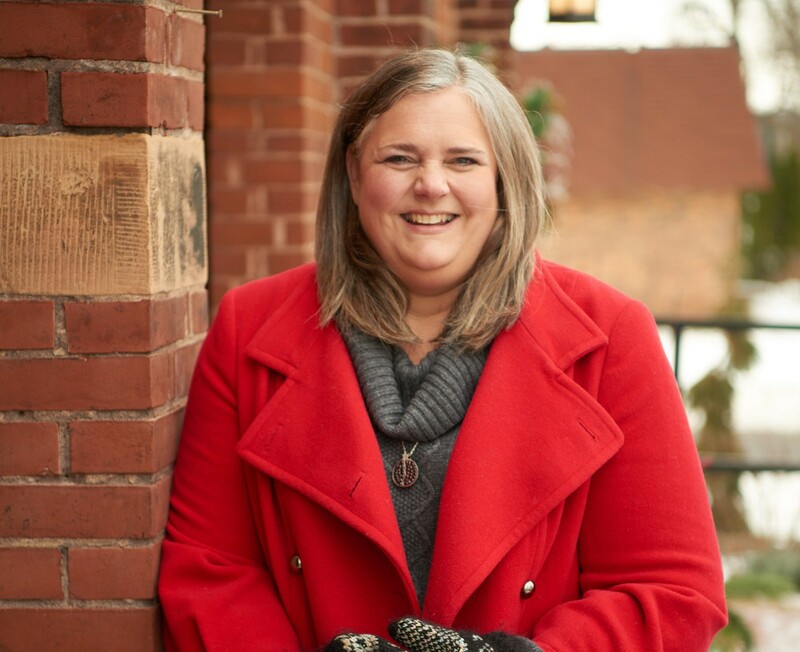 Revisiting her roots, Sharon explained, “I’ve always felt like and identified as being ‘Catholic’ because I knew that I was baptized here and my family and my grandmothers were [Catholic]. But I also was, on some level, on the outside looking in, and that really gave me something like a 40-year spiritual wound.